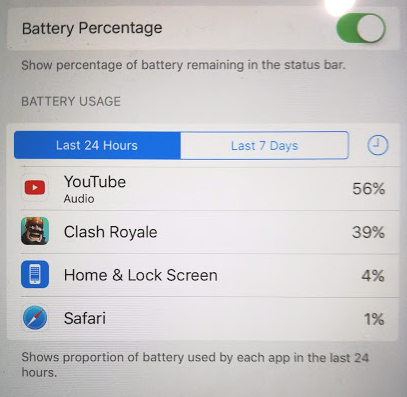 If your iPad or iPhone always struggling with low battery and you are trying to find the root causes, then you might want to find out which iPad / iPhone Apps that draining your device battery the most. Some Apps even though you’ve closed them, they will still continue running in the background without you knowing it. This will waste your bandwidth and drain your battery life too. 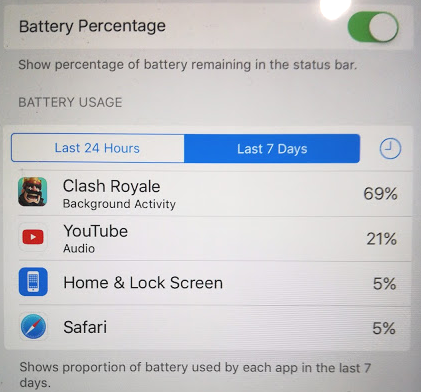 One of the neat features in iOS is the ability to break down and report the battery consumption of each App for the last 24 hours or last 7 days. So perhaps is time to hunt down the real culprit App that has been draining your device battery. 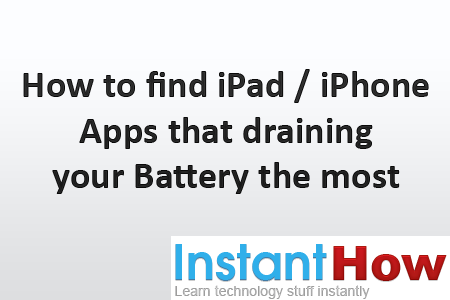 In the following guides, we’ll be guiding you on how to find iPad / iPhone Apps that draining your Battery and also some tips on how to save your Battery life. Here’s how you can do it. 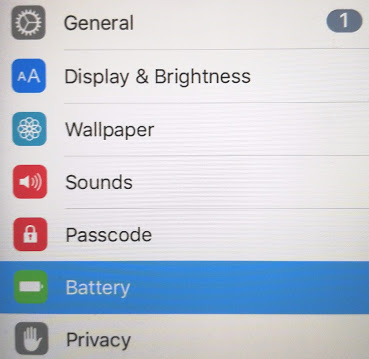 Go to the General Settings; scroll down until you see the Battery option. Tap on the Battery option. 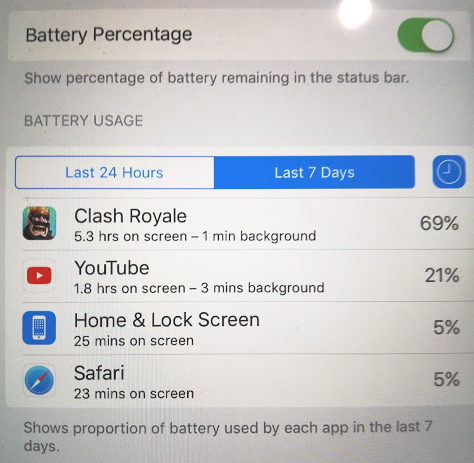 This will take you to the Battery screen showing you the list of Apps battery consumption (in percentage) during the last 24 hours or last 7 days. At this stage, you shall have a clearer picture of which Apps actually consume your device battery life the most. Tap on the clock icon next to the last 7 days. This will report to you how long each App was used on screen and also in the background. Once again, you can check for last 7 days or the last 24 hours. Lastly, you may want to take note of the App that running in the background longer than it should. These Apps usually are the silent killer to your battery life. 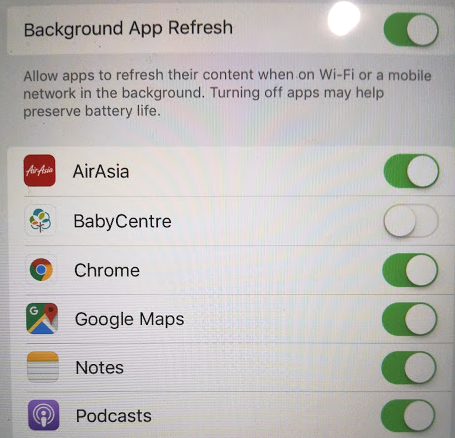 I would recommend turning these Apps off under Background App Refresh in General Settings.